Sunday I made cookies and toffee to give as Valentine gifts. All of the ingredients I used were leftover from our Christmas baking supplies. I thought that was pretty awesome! Combined with some leftover treat bags and the handmade gift tags made from items I already had on hand made for a very thrifty gift that delighted everyone I gave them to. I was pretty happy about that. Sunday was the nicest, quietest day for us and then the marathon began. It got a little wild. Our internet quit on us Saturday afternoon so we had no internet because Century Link couldn't send anyone out until late Monday afternoon. So when I got home to meet the technician I found a door hanger with nothing on it and gave Century Link a call back to find out what happened. The technician had shown up at 10:30 that morning and because I wasn't home he didn't do anything. He didn't even try. I was mad! That is not taking care of your customers. I insisted that he come out and they said he would, but when he didn't show up I called him and he got really belligerent with me telling me he'd be out "sometime tomorrow". Yeah, well long story short the little (enter swear word here) came out and found the construction crew up the street had cut the line. He never needed me to be home in the first place to figure that out and had he checked at 10:30 they would've had a someone out to fix it that afternoon. What a jerk! Our Sunday dinner was good! Once I got through with Century Link it was a mad dash to get my oldest to robotics, an hour late, then off to the library so I could use their internet. Then pick up the girl and head back home again to get caught up on the stuff I had planned to do while wasting almost three hours with Century Link. Tuesday I got home from work just as Century Link finished repairing the cut line. I started supper, ran down to pick up my youngest from cheering at the basketball game, home to eat really fast, then she ran upstairs to change, we all got back in the car, picked up her friend and headed back to the school for an orchestra concert. My oldest did her homework in the dark while they played. Then we took the friend back home and discovered she was locked out of the house so we waited for someone with a key. Then we went home. Wednesday, my youngest had cheerleader practice so that wasn't too bad. Thursday my youngest had another basketball game to cheer at so we picked her up, stopped at Jack In The Box with coupons and had dinner, then off to the high school to drop off the oldest to play in pep band at their basketball game. I lucked out and she got a ride home from a friend saving me an extra trip back to the school. Friday the youngest had a school dance, dropped her off first, headed to the mall to use two freebie coupons that were about to expire and a $5 body cream coupon at Bath & Body Works, then back to the high school to drop off the oldest for pep band and another basketball game. I had just enough time to stop in at the dollar store to pick up a few items on my list and then off to pick up the youngest at her school after the dance was over. I got home and promptly fell asleep in my recliner. Again I lucked out and the oldest got a ride home after the game. Saturday a full day of robotics. I dropped her off in the morning and headed home to catch my breath and get caught up on my chores. Needless to say I didn't get all of my 15 minute things done, but I only missed two so not too bad all things considered. I vacuumed the entire downstairs, dusted the shelves in my bedroom and mopped the dining room floor before I ran a load of laundry. Then I settled in at my crafting table and made myself chill out until it was time to pick up the girl. I even let my youngest fold the load of laundry and put it away. Isn't that nice of me? I put in a couple hours of overtime at work. Right now that isn't really the place I want to spend extra time, but we do what we need to and make the best of it. However, it does appear that things will be improving. I am cautiously optimistic. I didn't do any grocery shopping, and other than $5 at the mall and our trip to Jack In The Box we didn't really spend much. I made our dinner Friday night completely out of leftover items and it was delicious. Probably the best meal we had all week! We ate a lot of sandwiches this week for lunches because there weren't many leftovers. The girls seemed extra hungry at dinner this week with all the activity going on. I'm going to have to step up my game this week. I made some more homemade foaming handsoap solution to top off the dispenser in our downstairs bathroom. Again I used some shower gel and mixed it with warm water. February is usually a crazy month for us because of how their various activities will tend to overlap each other as they come to an end. Thankfully it is a shorter month! After reading this you are a little tired, aren't you? Ha, ha. That is the million dollar question. She isn't ready and that is her decision. I couldn't wait to get my driver's license, but she isn't in any hurry. Yah, i’d be exhausted, too! It’s nice to have people helping with the driving. I wish you a slower and calmer week ahead. I just love reading about you and your girls and your thrifty weeks. I really don't miss all the running since my boys are almost 38 and 40. Well as I say that my oldest needs me to pick him up and turn in his work paperwork because his car needs to go into the shop. lol. Yep, guess it doesn't end just because they grow up. It just slows down some. Take care. That is funny Crystal, but so true! Have a great day! Gee, this all sounds EXHAUSTING. Thank God you didn't get the flu mixed in. That's what we've been dealing with the past few weeks. Oh Lord. I hope we can avoid that, but it is going around. Sorry to hear you guys got it. Hope you are on the mend. I hate to say this...but a survey's not good enough. I'm guessing that some low-level peon reads and records it -- something that just lumps you in with everyone else. This has never failed for me. Honest. You are doing lots of taking an toting the girls! Life is just like it is supposed to be with teens! It is! Every once in a while they'll ask me if I get tired of running then around and I tell the "Nah, heck, if I wasn't doing this I'd just be doing something else." Ha, ha. Plus I love having them held hostage in the car so I can talk to them. I recently had surgery at a major hospital in Nashville, Tn. They mailed me a satisfaction survey shortly before I had the procedure done. I filed it away until I saw how everything went before I completed it. Glad that I did. It gave me the opportunity to let them know of several things that need to be addressed at their facility. Penny S.
That is a good idea. If they don't know, they don't know. I did the survey Century Link sent me. I was honest and let them know what I thought. 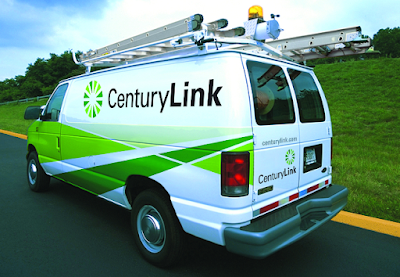 We have Century Link. We were some of the first when they came to this area and we have no trouble. However, many of our friends were hooked up later and they have lots of trouble and no satisfaction with the service department. Sad! Way back when, they were a pretty decent company really.